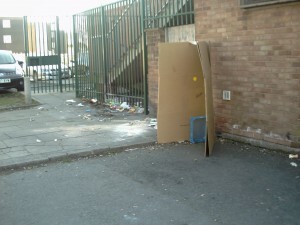 Their problems began months ago when their bin store was vandalised. Since then their landlord Walsall Housing Group (WHG) has failed to provide a secure place for bins to be stored as a result residents have had to resort to putting out black plastic bags which are supposed to be collected on a specific day of the week whilst the housing group decide what to do. Things came to a head before Christmas when plans to create a new bin store collapsed and an alternative site was identified by WHG which entailed converting a nearby garage into a secure bin store for the residents of the flats to store their bins. They are still waiting!! In the meantime the temporary system is clearly not working as the black plastic bags are not always collected when they are to be. 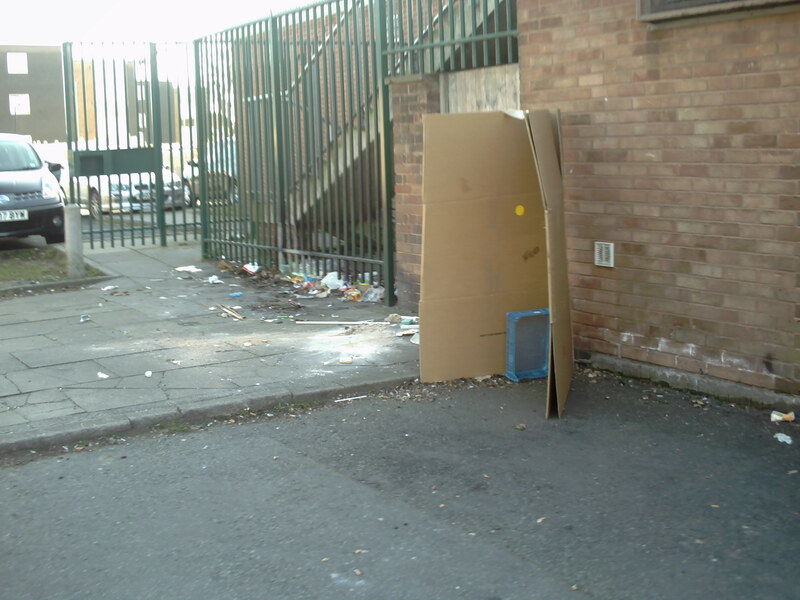 To add to the problem fly-tipping takes place when the bags are not collected. This has led this week to the situation where WHG having missed their regular weekly collection day last Thursday turned up, after complaints by the Lib Dem Focus Team, and removed just the black plastic bags. “This is getting stupid” said Ian “It would appear that WHG are going back to the bad old days before Partnership Working and have taken a “this is not our rubbish” attitude. They have had long enough to get this situation resloved and we are asking the Council to step in to bang a few heads together.